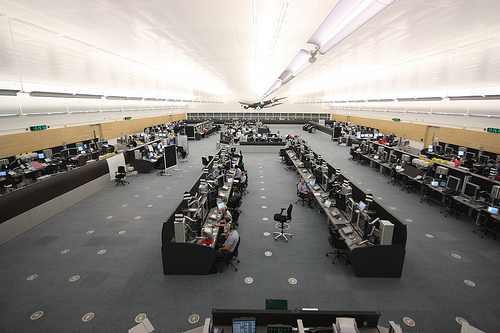 The ATCOs’ Branch, part of the Transport section of Prospect, looks after Air Traffic Control Officers working in the United Kingdom. Although the majority are employees of NATS, an increasing number are employed by other providers. 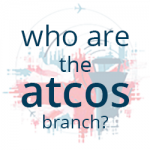 The ATCOs’ Branch deals with other ATC specialists such as FISOs, Watch Managers, Training Managers and many other key job roles. ATC face new challenges, such as the deregulation of EU airspace and TUPE to different ATC providers. Prospect understands these needs pragmatically at work, and represents these in the UK and internationally through our affiliations with the European Transport Workers Federation and International Workers Federation. Prospect has years of experience of representing members’ interests in a fast changing world of work, which makes Prospect the union for you at work. The two en-route centres are the London Centre at Swanwick in Hampshire and the Scottish Centre at Prestwick in Ayrshire. As well as at the en-route centres, the ATCOs’ Branch has members at control towers at Aberdeen, Belfast, Birmingham, Bristol, Cardiff, Edinburgh, Farnborough, Gatwick, Gibraltar, Glasgow, Heathrow, London City, Luton, Manchester, Stansted and Southampton. There are also members at Western Radar, Aberporth Ranges and the Colledge of Air Traffic Control. The ATCOs’ Branch is the busiest within Prospect representing almost 2000 members and negotiating a whole host of issues at both national and local level including Pay, Terms & Conditions, Working Practices, Training & Licensing and, of course, Safety. Prospect is currently actively involved in understanding the implications of the Single European Skies programme and are engaged in the lobbying of Parliament and local MPs to ensure that Safety and the Terms & Conditions of its members are not compromised.